The daily syndicated talk show, executive produced by Latifah, Will Smith and Jada Pinkett Smith, has gone to CBS TV Stations in a premium deal that will see the strip air on the 16 CBS Owned & Operated stations. The show’s format calls for celebrity interviews, human interest stories, comedy, pop culture and musical performances. 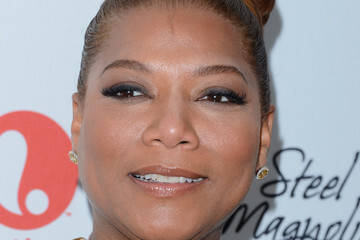 It is expected to showcase Queen Latifah’s talents, blending comedy and music into her hosting duties. Shortly after the dust settled on this fall’s syndicated daytime talk show launches that failed to produce a breakout hit, Sony TV began conversations with station groups about the Queen Latifah talker, garnering interest from multiples places. I hear negotiations went down to the wire with the CBS and NBC station groups. The sale comes exactly a year after Sony TV, Queen Latifah and Shakim Compere’s Flavor Unit and Will Smith and James Lassiter’s Overbrook Entertainment closed a deal to develop a daytime talk show for the Oscar-nominated actress to host. In May, Corin Nelson was tapped as executive producer. Oh no, not another one (sigh), who’re her guests gonna be? cage fighters? roller derby chicks? queenie, you ain’t the one. Really? It there anything else to “talk” about?